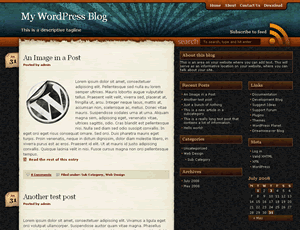 Description: Designed by JustDreamweaver.com using the ThemeDreamer extension for WordPress themes. after login, goto Layout > Page Elements > edit Blog Posts > change time format to long date (e.g Tuesday, May 19, 2009) > Save. Remember change time format NOT date format. Thanks for the answer I was having the same problem! Thanks...This is an awesome layout! i have the same question "how can i add read more in this template?" how can i do every entry has their own pivate page? how to add recent comments? The one provided in blogger was written in black..if any how could i change the font color? Awesome theme. Is there an easy way to change the links at the very top? what am I doing wrong that I can't remove the "meta" box on the right tool bar and edit the "about" box? happily using this theme for the last few months! i would love to know how to add a "drop down menu" to the page links at the top of the theme...i've created parent/child pages but they only show up under "pages" in the side bar. please, can anyone tell me how to do this? How could I change the theme to inlude buttons to twitter and the end of the comments? Other issue: This theme is having problems with the captcha validation. ow to fix it?